Design of beautiful gardens, outdoor entertaining areas, feature fences etc, construction of all my designs with the help of a great team of landscape staff, we also maintain all of our beautiful gardens of Melbourne. AUSTRALIAN LANDSCAPE DESIGNER, ANDREW RENN RECEIVES BEST OF HOUZZ 2015 AWARD AS ONE OF AUSTRALIA’S TOP HOME PROFESSIONALS. Over 25 million users in Australia and around the world select the best of Home Building, Renovation and Design February 18, 2015 – Andrew Renn of Melbourne has been awarded ‘Best of Houzz 2015’ for [Design, Customer Service, Design & Customer Service] by Houzz.com.au, the leading platform for home renovation and design. Andrew was chosen by the more than 25 million users that make up the Houzz community (with over 1 million in Australia). Andrew Renn was selected from among more than 500,000 home professionals worldwide! The Best of Houzz awards fall under two categories: ‘Design’ and ‘Customer Satisfaction’. Design awards are granted to home professionals whose work was the most popular among the more than 25 million monthly users on Houzz, affectionately known as ‘Houzzers’. Customer Satisfaction honours are determined by a variety of factors, including the number and quality of client reviews received by a professional in 2014. Winners of the awards will receive a ‘Best of Houzz 2015’ badge on their profiles to highlight their talents to the community. The badges will highlight the award winner’s popularity and satisfaction rating among their peers on Houzz, distinguishing them to Houzzers around the world who discover and love their work. Jason Chuck, Managing Director of Houzz Australia, says: "It's great to see Andrew Renn recognised as the Best of Houzz from across Australia and more than 500,000 businesses worldwide. It's a genuine tribute to their expertise when the award is judged by our community of homeowners and design enthusiasts who are actively building, renovating and decorating their homes." "For homeowners, Houzz.com.au provides them with everything they need to build, renovate or decorate their homes, connecting them with not only the best home professionals and products from Australia, but also from around the world. Our community in Australia is already over 1 million and growing every day." Follow Andrew Renn on Houzz <a rel="nofollow" target="_blank" href="http://www.houzz.com/au/pro/andrewrenn/andrew-renn">http://www.houzz.com/au/pro/andrewrenn/andrew-renn</a> About Houzz Houzz is the leading platform for homes. Georgia Harper Landscape Design is a landscape design practice dedicated to working in collaboration with clients to achieve the most effective, engaging and lovely landscapes to live in. With projects ranging from small residential courtyards to large commercial developments, throughout Melbourne and Victoria, we work with our clients to achieve outstanding results unique to them and their needs. GHLD aims to help you create an outdoor space that will work well with your home and your lifestyle. Our philosophy is that good design is a great investment - and well-designed landscape enhances the value of your home as well as the quality of life you'll enjoy with a design that's customised for your tastes and way of life. It also ensures that it will thrive in the conditions specific to that site, and offer focal points of interest from within the building. Careful planning means that you know what you will be getting right from the start, how it will work, and will streamline construction process, minimising cost issues. GHLD is experienced in a wide range of garden styles - from formal to modern, small jobs or garden renovations to large-scale projects. Enzos landscaping offers you complete landscaping solutions from design through construction to ongoing maintenance or any landscape requirements. With over 30 years in Construction/Landscape industry we have a depth of knowledge and experience that gives you the client confidence and great outcomes to build beautiful outdoor spaces.Very experienced in drainage,retaining walls and all earthworks,especially difficult solutions. Acoustic Landscape Designs, founded by George Amos, is one of the elite landscape design companies located in the Melbourne area. With a vast array of experience, we specialise in unique designs for residential properties and landscape plans for council permits. In addition to the above, our goal is to implement features to help minimise noise pollution from surrounding neighbours, city traffic and music venues. As a result, this will improve the overall acoustics of your garden and newly landscaped area. Your outdoor space will look good, sound good, be sustainable and fully functional. Contact us today to go over your landscaping needs and wants! Ross Uebergang is a qualified landscape designer, specialising in sustainable landscape design. With a background in horticulture, he has qualifications in, sustainability, horticulture and sustainable landscape design. Paste the following URL into your browser to see Ross on the ABC's Gardening Australia <a rel="nofollow" target="_blank" href="http://www.abc.net.au/gardening/stories/s4338009.htm">http://www.abc.net.au/gardening/stories/s4338009.htm</a> Ross refined his design and construction skills working with Melbourne International Flower and Garden Show gold medal winning, Paal Grant Designs. Ross currently teaches Horticulture and Sustainable Landscape Design part time at Swinburne and Urban Horticulture at the University of Melbourne (Burnley) Ross U Design and Landscape offer you creative landscapes that are beautiful, functional, productive and sustainable. We endeavour to create aesthetically pleasing landscape designs which limit the impact on our environment. At Ross U Design & Landscape we create stunning landscape designs in Melbourne, Geelong and throughout Australia with 3d modelling. Using high quality images and videos, we provide you with a preview of how your garden will look. This means you do not have to be a builder to understand the plans and be an active part of the design process. All landscape designs are completed by Ross Uebergang, qualified in Sustainable Landscape Design, Horticulture, and Landscape Construction. We are a fresh thinking landscape architecture studio based in Melbourne. We design complete landscapes for residential gardens, rooftops, small scale commercial and hospitality spaces. Our gardens are relaxed, sophisticated green spaces designed to exist in harmony with the architecture. 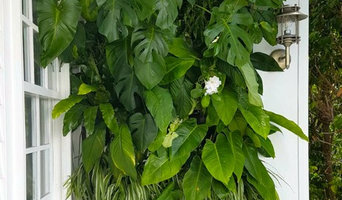 Candeo Design is a landscape design company dedicated and passionate about creating stunning, user friendly and unique gardens and outdoor spaces. All designs are based on strong horticultural practices as well as creative use of quality and interesting products throughout the garden. Strong colour and texture is a common theme throughout Candeo Design gardens creating beautiful visual effects. These design theories are the corner stone of Candeo Design and will help make your new garden "shine, glow, grow brilliant". Hi I’m Mei Chan, I specialise in creating beautiful garden spaces that are easy care, sensitive to the eco-system and inexpensive. Do you have a problem area around your house or business? Maybe you want to beautify a courtyard or balcony for the coming season. 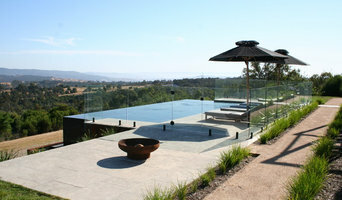 I specialise in middle scale projects- Design and Construction Landscaping. Gardens in Abundance are experienced in: Native & edible gardens that attract wildlife, helping you choose plant varieties to suit certain areas, breathing new life into tired outdoor areas. easy care & environmentally-friendly landscape designs, transforming small front yards into spectacular spaces, preparing a garden for sale or rent and creating a unique atmosphere for an event. Justine Carlile specializes in designing all types of landscapes in Brighton, and the adjoining Bayside areas where the focus is on indoor and outdoor living. Seamless integration and lifestyle components such as swimming pools, spas, outdoor rooms, pergolas, water features combined with plant and tree selections overseen with horticultural expertise are all part of the design and layout process. Ocean Road Outdoor Furniture is Justine's beautiful range of wicker furniture which includes items for alfresco dining, day beds and sun lounges for pool side and sofa's for pavilions and resort style living. All outdoor furniture is on display at Justine's design studio in Brighton. 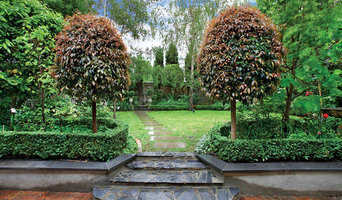 Melbourne based landscape design consultancy which has over 30 years of landscaping experience. Our landscape design ideas and experience cover pool landscaping, steep, difficult blocks which require solutions for retaining, stormwater management and soil erosion, sustainable native gardens, drought tolerant gardens, courtyard designs, large acreage landscaping, balcony landscaping ideas as well as the quarter acre block! Simon Thorne, has over 12 years experience in the landscape and construction industry. He is qualified in both landscape construction and horticultural design. In the early stages of his career, Simon worked under the guidance of well-established companies that exposed him to a vast range of projects and design ideas. Now as a certified designer and Master Builder member, Simon is passionate about creating perfect landscapes through his own business. He and his expert team are committed to providing a thoughtful, customised service for every client. Simon emphasises the importance of staying devoted to a project once undertaken. He remains committed from commencement to completion. We are passionate about providing our clients with value for money. Because our talents are so extensive and diverse, we can create landscaping solutions to fit any budget. We are professionals committed to helping you through every stage of your project, from the initial consultation and design phase, right through to construction and completion. Harry Kyriakou is a Melbourne based Landscape Designer with a strong and varied background in architecture, graphic design and horticulture. He combines this expertise to create unique, functional and aesthetically pleasing garden spaces that connect people with nature. 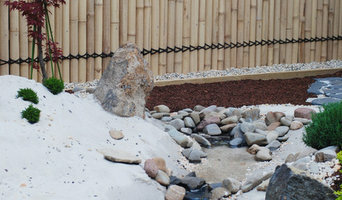 Design and construction of stunning natural looking water features, such as garden ponds, streams and waterfalls. We also create free-flowing gardens, such as Australian native gardens, cottage gardens, and Japanese gardens.